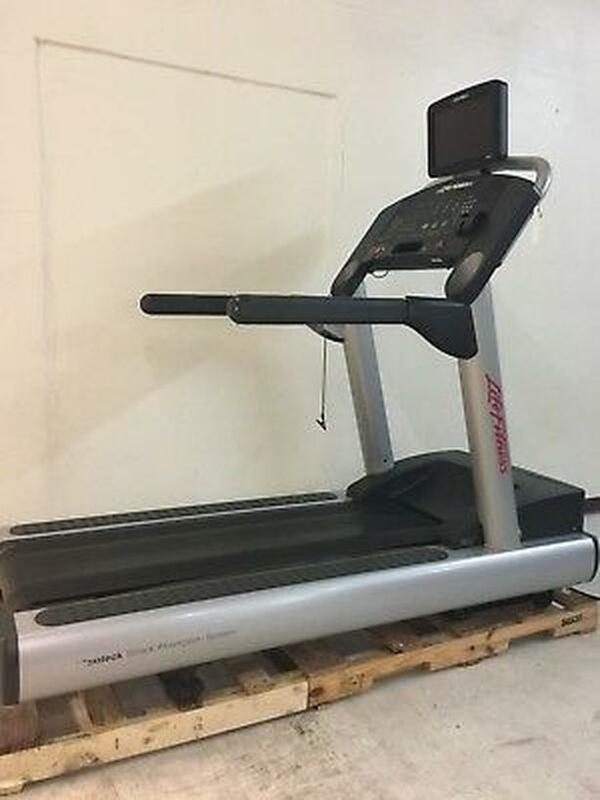 Our Edmonton location is offering multiple pre-owned Life Fitness Integrity Treadmills with Personal Viewing Screens! These units are four years old and come from a well-maintained community center in Alberta. All units have been inspected and certified after passing all maintenance tests. Usage ranges from 6000-8000 hours, with exact statistics and serial numbers are available upon request! The groundbreaking DX3 Belt and Deck System combine a lubricant-infused belt, Advanced Belt Tracking System (ABTS) and the patented FlexDeck Shock Absorption System for the ultimate in durability and comfort. Heart Rate Monitoring Lifepulse digital heart rate monitoring hand sensors are conveniently placed on the easy-to-grip Ergo bar to provide walkers with precise heart rate monitoring, and Polar telemetry provides runners with accurate, "hands-free" heart rate monitoring.